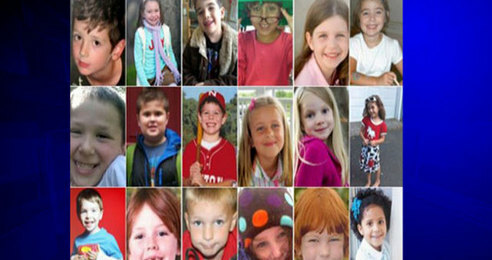 Above are some of the children who were massacred in Newtown just over a hundred days ago. You all know the story. But first a warning, please do not read through the end of this post if images of gun violence are more than you can bear to watch. Though there aren’t any crime scene photos from Newtown available, sadly there are many photos on the internet of victims of gun violence from weapons of war, which is what Adam Lanza used. Though not of these poor children above, what follows clearly shows what happened to them on December 14, 2012. After hearing that Senators Marco Rubio, Rand Paul and Ted Cruz have sent Harry Reid notice of their intent to filibuster any attempts to vote on gun control legislation, I took to twitter in my anger and outrage. The NRA and their supporters still carry far too much influence with our government than they deserve. Overwhelming numbers of Americans, Democratic, Republican, Independent, Gun Owners, Non Gun Owners and NRA rank and file membership agree we need full and complete background checks before weapons can be sold. Most also agree to bans of military style assault weapons and high-capacity magazines. Yet, barely a hundred days since Newtown, opposition in Congress has taken hold despite the wishes of the nation. 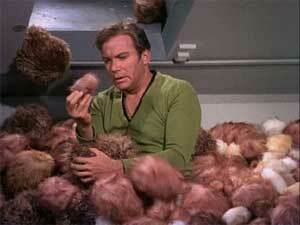 On Twitter, self-described “2nd Amendment” folks chimed in on my tweets about the rights to bear arms. As I have blogged about in the past, I don’t agree that the 2nd Amendment gives any U.S. Citizen an absolute right to own any weapon of their chosing and that government is powerless to regulate gun ownership. The 2nd Amendment was written for a time when this country did not have a standing army and still faced invasion from Great Britain, Canada, any European Nation and Native Americans. It was written as a means to have a well regulated militia to defend the government of the United States. You could have a weapon, but that weapon had to be maintained and cared for as directed and you were require to be trained not only how to use it, but how to use it as a member of a Militia. The Militia Act of 1792 was an early act of Congress written to finish what the 2nd Amendment called for. In fact, President Washington use the Militia Act to put down the Whiskey Rebellion. Conservatives are sure that despite everything and the first few words of the 2nd Amendment, they have an absolute right to own any weaponry they desire and that government is powerless to regulate or control the sales of such weaponry. However, in Heller, the most conservative of the Supreme Court Justices Antonin Scalia made it clear that government is free to regulate gun ownership. Despite this, the leaders of the NRA have fooled easily gullible Americans that they have a right to weapons of war on our streets and that government cannot interfere in it. As I’ve said many times, this has nothing to do with the 2nd Amendment, this is about scaring the easily gullible and cowardly among our population to go out and buy more weapons and ammunition to increase the profit margins of gun and ammo manufacturers. Some still naively say that if there were armed guards at Sandy Hook, this wouldn’t have happened. Adam Lanza used a military style assault weapon legally purchased by his mother. She had that weapon and ammo for her protection. Lanza murdered her first then took the weapons to Sandy Hook. Armed Guards would have been slaughtered too. Further, there were armed guards at Columbine, Virginia Tech, Fort Hood, weapons of war kill quickly and easily whether the victims are armed or not. No mass shooting in the history of this nation has ever been stopped by an armed victim. In fact, most mass shootings only end when the assailant kills themselves or after overwhelming armed professional arrive to take them down. I tweeted that the Senators who want to filibuster and those in the NRA should be required to see the carnage the ownership of such weapons of war on our streets cause. Since they aren’t available, here are photos of adults and children killed by gun violence. The weapons are the same as in Newtown so this is what you could expect to have seen had you responded there. By not allowing for full background checks for all sales of weapons to keep them out of the hands of criminals and mentally unbalanced, by not banning military style assault weapons to be sold here, you make what is depicted in the following photographs much easier to occur on the streets of our country. Do you truly believe that this is what the 2nd Amendment was designed for? If you do, then maybe its time to repeal it because these weapons are too dangerous to be allowed on our streets by untrained, un-assessed and unstable citizenry.